TIRANA (Albania), January 11 (SeeNews) – The Trans Adriatic Pipeline (TAP) consortium has reached a financial close, securing 3.9 billion euro ($4.5 billion) financing from public and private lenders, the European Bank for Reconstruction and Development (EBRD) said on Friday. “The EBRD is part of this consortium with a 1 billion loan euro syndicated to a group of 16 commercial banks with 500 million euro being provided on the bank’s own account,” the bank said in a press release. The 878-kilometre pipeline will carry natural gas from the Shah Deniz II field in Azerbaijan to Europe. It will start at Greece's border with Turkey, cross Albania and, after passing under the Adriatic Sea, come ashore in southern Italy. It constitutes the final segment of the Southern Gas Corridor, a supply route to transport gas from the Caspian Sea to Europe. The EBRD said it is also providing support for the development of institutions and regulations of the Albanian gas market through technical cooperation to support legal and regulatory capacity of the new natural gas transmission system operator for Albania, Albgaz. “As the EU Bank, the European Investment Bank recognises the important contribution to improving security of energy supply in Europe that the Trans Adriatic Pipeline will bring and has provided 700 million euro for this, the largest energy project in Europe currently being built," Andrew McDowell, EIB Vice President responsible for energy, said in a separate statement issued by TAP. 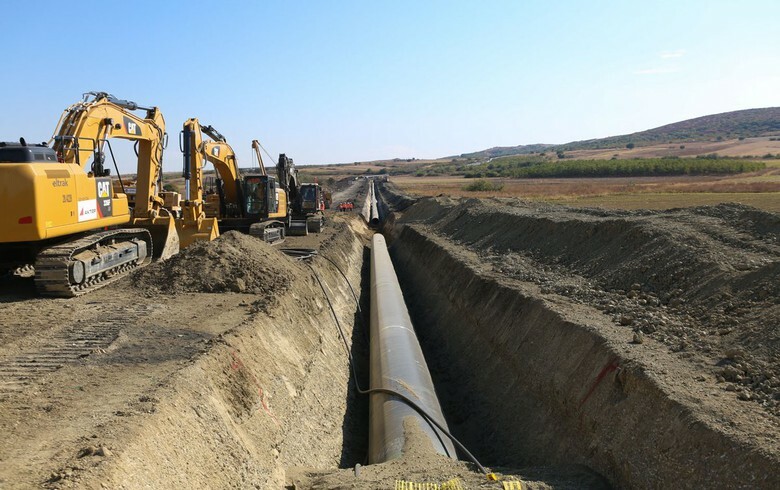 At its start point in Turkey, TAP will connect to the Trans Anatolian Pipeline (TANAP) for which the EBRD approved a $500 million dollar loan in 2017. At the end point in Italy, TAP will connect to the Italian natural gas network and from there to wider European networks. With an initial annual capacity of 10 billion cubic meters – equivalent to the energy consumption of approximately seven million households in Europe – the pipeline will make a significant contribution to the diversification of Europe’s energy supply, EBRD noted. The first delivery of gas is expected in 2020. “It will also make energy supply for consumers more reliable and achieve significant CO2 reductions by offering an alternative to more polluting energy sources, supporting the transition to low-carbon economies in line with the EBRD’s new energy sector strategy,” the bank said.